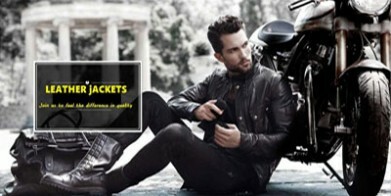 I was apprehensive about buying a leather jacket online at first but Trendsfashionusa really put me at ease. They had the exact jacket I wanted and the price couldn’t be beat. Their size chart made it easy to pick the right size jacket for me so I didn’t have to worry about the fit at all. Payment was a breeze and my jacket arrived right on time. It looked just as good when it arrived as it did online and the fit was just right! I will definitely buy from Trendsfashionusa again. My best friend got a sharp Armani leather jacket and I really wanted it but couldn’t afford the $2000 price tag. I found a replica on Trendsfashionusa for a faction of the price so I pulled the trigger and got one. The ordering process are smooth and shipping was no problem. Best of all my new jacket gets even more compliments than my friends’.